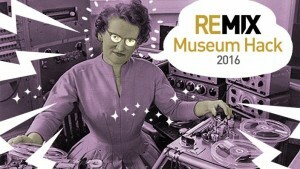 REMIX: Museum Hack 2016 at the Western Australian Museum is an exciting first of it’s kind event connecting our best tech innovators, coders, creatives and start-up entrepreneurs with elementary school children. REMIX uniquely brings together tertiary, corporate and not-for-profit partners, in seeking to attract new audiences to the Museum. In line with STEAM (Science, Technology, Engineering, Arts and Maths) learning principles, adult hack teams will digitally remix children’s visual interpretations of Western Australian Museum objects over the weekend of 30 April – 1 May 2016. Any digital application, technology or creative approach can be used by the teams to re-interpret the child’s illustration, provided that it can be displayed on an iPad. The top 10 works will be installed in a new children’s exhibition space. REMIX is open to all Western Australian schools, with a broad cross-section of metropolitan, regional and indigenous schools encouraged to apply. The top 10 children (or “MINI MIXERS”) will attend a special section of the hack weekend with a guardian, so they can meet the hack teams and discuss the original intentions behind their illustrations to inform the final products. The winning adult hack team will win a $5000 Curtin University School of Education cash prize. The winning school student will win a fantastic “behind the scenes” Museum excursion for their entire elementary school class.